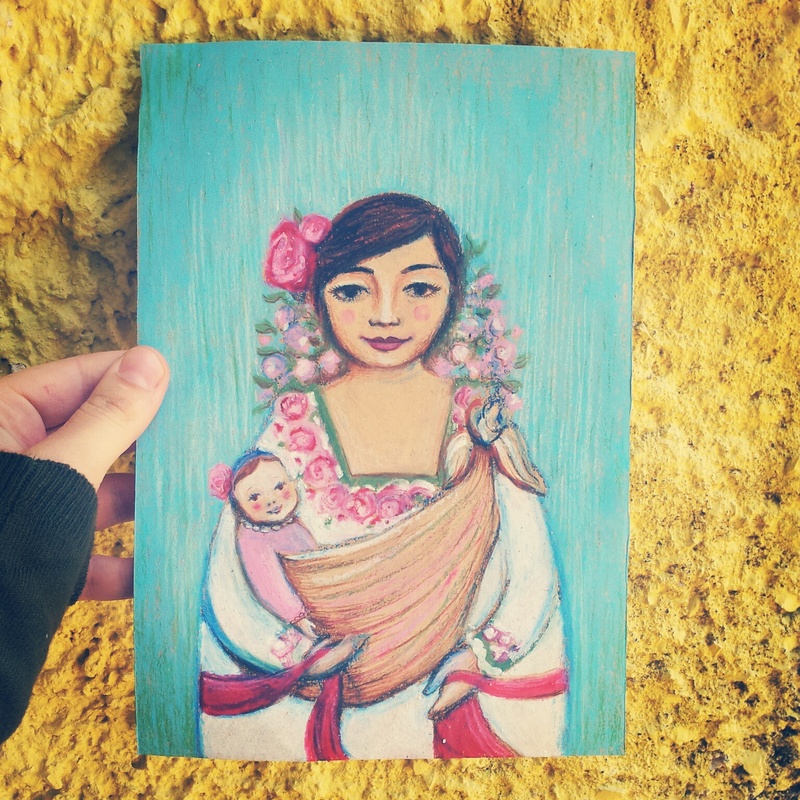 Mexican woman in a traditional costume, with a baby. From the “matryoshka project” – baby mama theme. Oil pastels on brown paper. Contact me if you are interested in a print or the original.